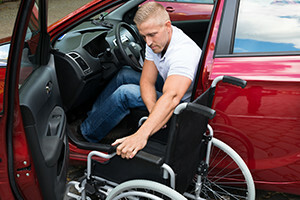 Few injuries are as devastating to individuals and their families as injuries that result in paralysis, such as paraplegia or quadriplegia. Affected individuals are forced to deal with an inability to work, extensive medical treatment and future medical care, often for the rest of their lives. Families must meet the financial burdens that come along with these injuries and it is important to pursue all avenues for obtaining compensation. In the Greater Boston area and throughout Massachusetts, the lawyers at Pulgini & Norton, LLP, have more than 40 years of experience representing those who have been injured in on-the-job accidents and have suffered catastrophic injuries as a result. We have pursued workers’ compensation benefit claims, as well as personal injury and third-party liability claims, with successful results for our clients. Contact our firm to learn more information if you or someone you love has suffered a workplace injury resulting in paralysis or another serious injury. Call us toll free at 781-843-2200. We have the experience and legal knowledge to thoroughly review your injuries, medical costs, the circumstances of your accident and other facts about your situation. After an injury on the job, contact us to schedule an appointment for an initial consultation and learn more about our representation in Massachusetts. You may e-mail our firm here or call one of our three offices in Braintree, Hyde Park or downtown Boston toll free at 781-843-2200.